The rebellious attitude of US rock and rock musicians became prevalent among youth in the United Kingdom around the 1950s. Attempts to recreate American rock and roll failed, but a new jazz-like skiffle beat became popular among the British youth. Skiffle was a distinctive revision of traditional American folk music, which consisted of an acoustic guitarist accompanied by a rhythmic instrument. British musicians decided to combine British music with this rebellious, American tone which later became known as Mersey Beat, founded by Bill Harry in Liverpool during 1962. Beatles' song, "Maggie Mae," which appeared on their last album, Let It Be, was the most popular skiffle song. This is a telegram from a Mersey Beat recording studio company talking about the Beatles, the most popular skiffle band in the decade. "Rock and roll - the music of freedom frightens people and unleashes all manner of conservative defense." "I look at my clarinet sometimes and I think, I wonder what's going to come out of there tonight? You never know." 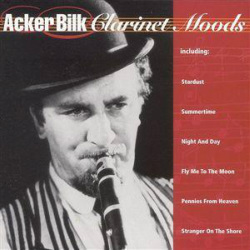 In 1962, Acker Bilk, a jazz clarinetist, became the first British musician to top the American pop charts when he wrote his instrumental single “Stranger on the Shore” which made #1 on the Billboard Top 100, a feat that would occur 173 additional times over the course of 35 years. Bilk had no other hits, but his instrumental song more importantly paved the way for the globalization of British music.